Location: 20 City Rd, Beenleigh – Beenleigh Little School. Jorgensens were engaged to build this new child care centre including fit out in Beenleigh, it will be the second for this client. The internal childcare fit out consists of ducted air-conditioning, vinyl throughout, extra height ceilings and exterior windows allowing for lots of natural light and ventilation. 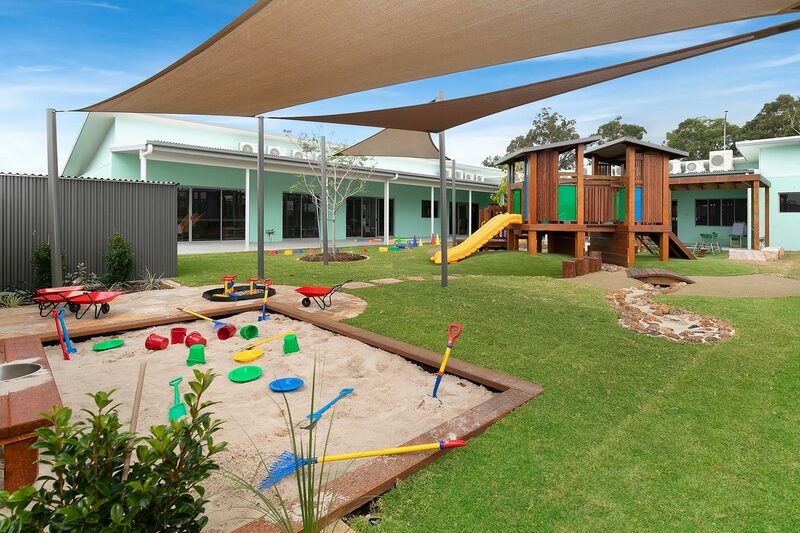 This generous 610m2 centre on 2044 m2 has been completed to a turn key finish including external playscape, sandpit, landscaping including natural timber decking on the verandas. This project was completed in approximately 22 weeks. Visit the Beenleigh Little School website now!